This one-of-a-kind ornement has great character and bring that bohemian feeling and uplift to your home decor. It's also a wonderful furniture to add to your baby's nursery or kid's room! 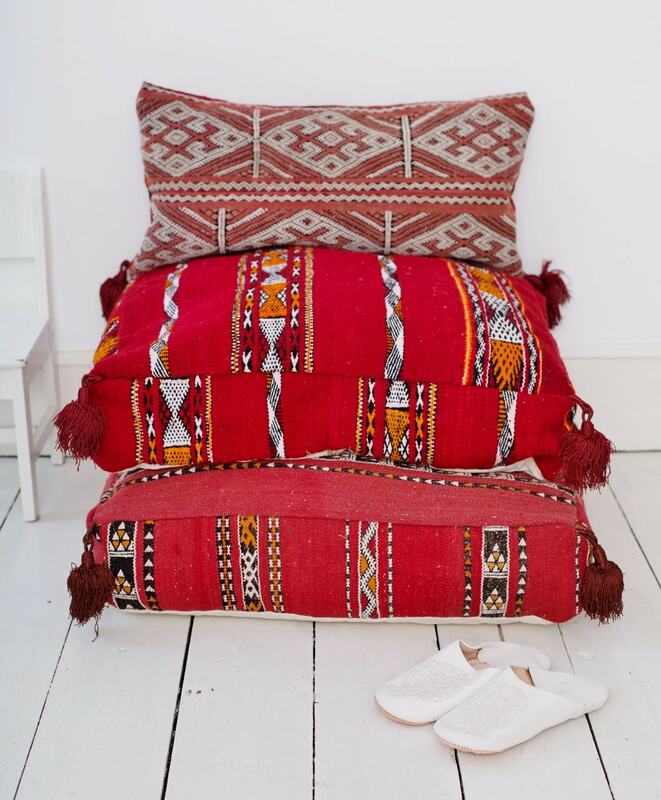 All of the tribal vintage products in our shop have been carefully handpicked by Maison Marrakech in our Berber Souk in Marrakech, Morocco. * There is a zipper at the bottom of the pouf. 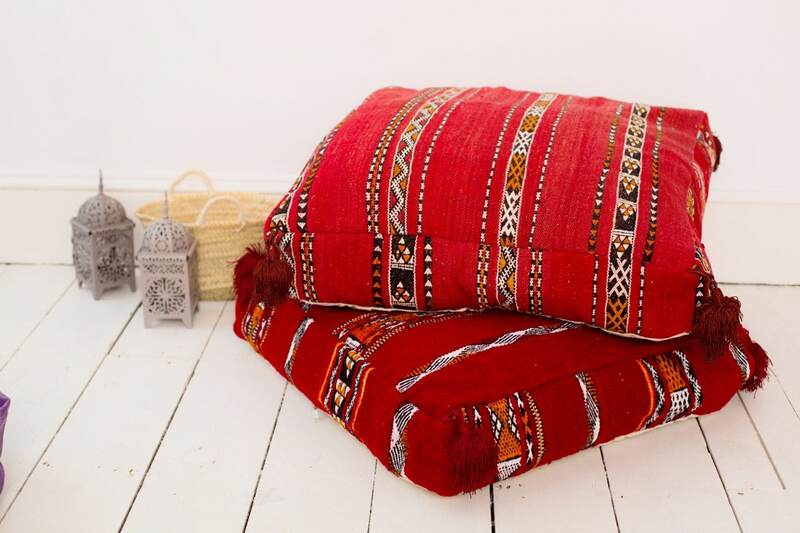 This vintage floor pouf comes as unstuffed. * The unstuffed Pouf will give you full control of the stuffing material and level of stuffing to achieve the desired shape and firmness. 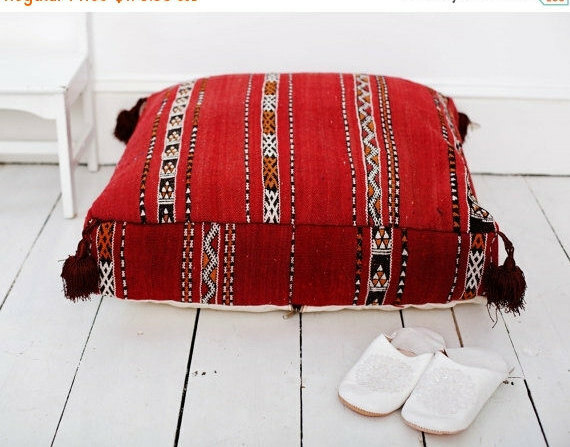 The poufs can be stuffed with anything from old or seasonal clothes, blankets, pillows, Polyester Fiber or polysterine beads purchased via any major webmarket places. *It's really stuffing a floor pouf and is very economical to do so. We highly recommend this method. Due to the handmade nature of our items and individual crafting of each one, no two pieces are identical. Each vintage product that we handpick is unique and individual. All Rights Reserved for ©Maison Marrakech, 2017Our products are great for special occassions too: for halloween, Christmas, birthday, Ramadan, Eid and many more.., halloween. Perfect for Black Friday Sale, Christmas gifts, gifts, new year gifts. Great gifts ideas for Valentine's Day, Mother's day, Father's day too!Great as a Easter gift for your family and friends, and the upcoming Mother's day gifts. I love our pouf however, it was different than pictured. Didn't have the tassels that I was hoping for and what was pictured. But, we still like it! Prompt delivery! So much love with the floor cushions. Thanks!